Marijuana at New England Treatment Access in Northampton. The Boston Globe launched a new section of Globe.com dedicated to covering the politics, business, use, and impact of cannabis in the Northeast with a primary focus on the New England states of Maine, Vermont, New Hampshire, Massachusetts, Rhode Island, and Connecticut. The Globe will bring the resources of New England’s largest newsroom to cover the cultural, business, and legal aspects of cannabis, and facilitate conversations across the Northeast. Cannabis is growing to be a multi-billion dollar consumer business that is spreading across the United States, Canada, and elsewhere around the globe. 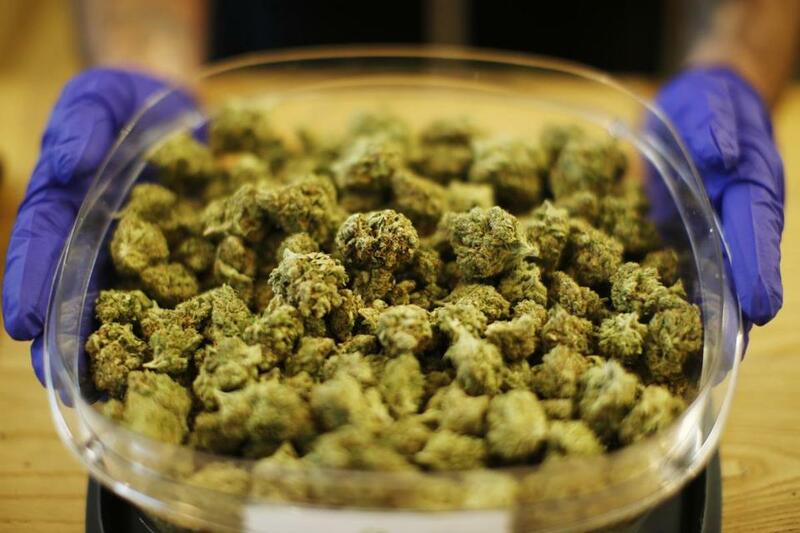 Almost half of New Englanders live in a state that has recreational laws on the books. Another roughly 20 percent live within a one hour drive of a state that has legalized recreational use. There is tremendous interest from those who are working within this space as well as the cannabis curious, and they are looking to the Globe to educate and inform them around all things marijuana-related. Dan Adams is the cannabis reporter at the Boston Globe and the author of the “This Week in Weed” newsletter, the definitive insider’s diary of legalization in Massachusetts that tens of thousands of readers rely upon for original reporting, irreverent commentary, and the latest developments from the front lines of industry and advocacy. A graduate of Emerson College and a seven-year veteran of the Globe, Adams previously covered municipal politics, business, and the alcohol industry. He drew national attention for his investigation into illegal “pay-to-play” tactics by major brewers and beer distributors, which prompted multiple state and federal investigations. Since being named the Globe’s first dedicated cannabis journalist in 2017, Adams has embedded himself in the marijuana community and spotlighted the concerns of marginalized groups, while holding the industry and government officials to account. He has also moderated several panels that included national drug policy figures, appeared on public radio to brief listeners on the implementation of legalization in Massachusetts and has been invited to serve as the master of ceremonies at the 2019 North American Cannabis Summit. Naomi Martin has joined the Globe as a dedicated marijuana reporter. Previously, Martin spent seven years covering politics and criminal justice in Dallas, New Orleans, and Baton Rouge. She was part of The Dallas Morning News team named a finalist for the 2016 Pulitzer Prize for coverage of the July 7 murders of five police officers. She won The News’ top award, Reporter of the Year, in both 2016 and 2017. Felicia Gans, producer and marijuana reporter, will oversee the digital presence of the Globe’s new marijuana section. Gans started at the Globe covering crime and general assignment stories, and she began full-time on the overnight desk after graduating from Boston University. On the overnight shift, she led homepage strategy, keeping readers informed on everything from national politics and sports triumphs to local crime waves and natural disasters. Gans has covered a wide range of regional stories, including the trial of Boston Marathon bomber Dzhokhar Tsarnaev and the death of former Boston Mayor Thomas Menino. Gans is an alumna of The Daily Free Press, BU’s independent student newspaper, where she won two regional awards for the newspaper during her term as editor-in-chief. Editor Linda Corcoran joined the Globe in August 2018 and was most recently the Managing Editor of the Cape Cod Times, responsible for print and digital operations. Prior to that, she was the paper’s Sunday editor and led many of its most notable projects, including coverage on opioids and the aging nuclear industry and its impact on local communities. She was a Pulitzer juror in 2011 and 2012, and her editing work has been recognized with many regional awards, including the New England First Amendment Award and the Thomas K. Brindley Public Service Award. Matt Karolian serves as Director of New Initiatives and General Manager of the Globe’s marijuana vertical. Karolian recently returned to the Globe from Harvard where he was a Nieman Journalism Fellow studying the impact of AI, privacy, and security on publishing. Karolian previously served as Director or Audience Engagement at the Globe, leading the organization’s strategy around digital platforms. Contributions from Marijuana Moment, edited by Tom Angell, a 15+ year veteran of the legalization movement, will also provide the latest headlines, primary source documents, and analysis from across the world. To learn more about The Boston Globe’s extensive marijuana coverage, visit globe.com/marijuana, follow @MarijuanaNews on Twitter, and sign up for the “This Week in Weed” newsletter at globe.com/newsletters. Boston Globe Media Partners, LLC provides news and information, entertainment, opinion and analysis through its multimedia properties. BGMP includes the Boston Globe, BostonGlobe.com, Boston.com, STAT, and Globe Direct.